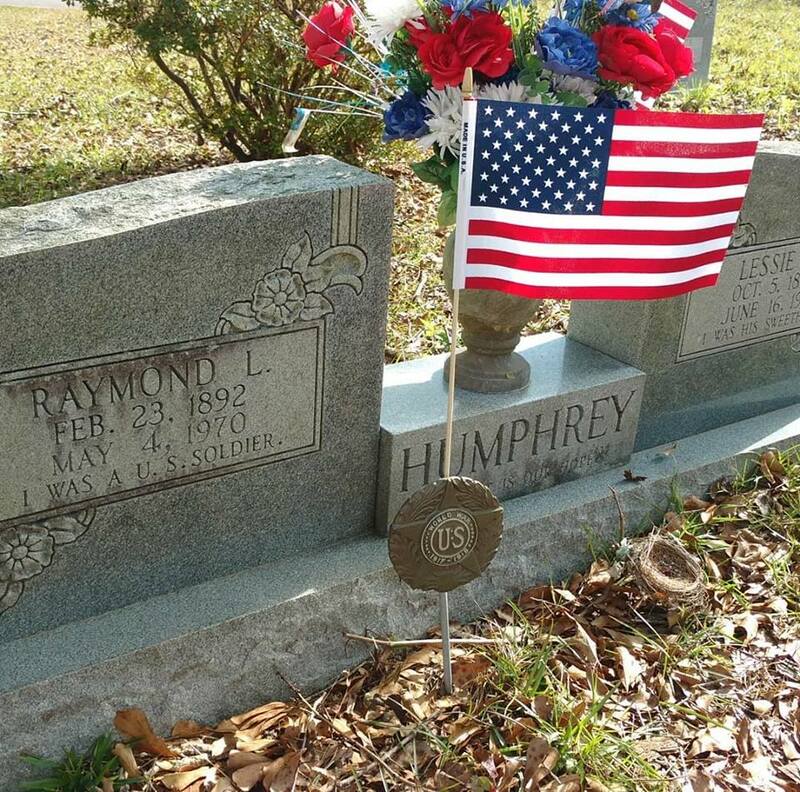 ​In honor of my granddaddy, Raymond Lee Humphrey, on the Centennial of the Armistice and end of the Great War... I painted this French landscape. "The Croix Rouge Farm" by Bernie Rosage Jr. 10"x20" oil on canvas. Private Collection. My goal was to paint this scene of the Croix Rouge Farm (Red Cross Farm) set in Aisne, France (1918) in a peaceful manner. One where the viewer is drawn in by the beautiful country side, architecture, and the tranquil solitude. It was also my way of capturing on canvas, a scene that has significant historical value to my family. 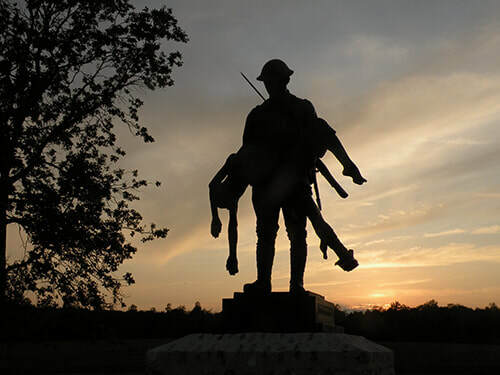 Today marks the centennial of the cease fire and ending of World War I on the 11th hour of the 11th day of the 11th month, 1918. Granddaddy Raymond was there. In fact... his regiment... the 167th of the famed 42nd "Rainbow" Division... was the furthermost allied unit in German territory when the Armistice was called at 11:00 AM. 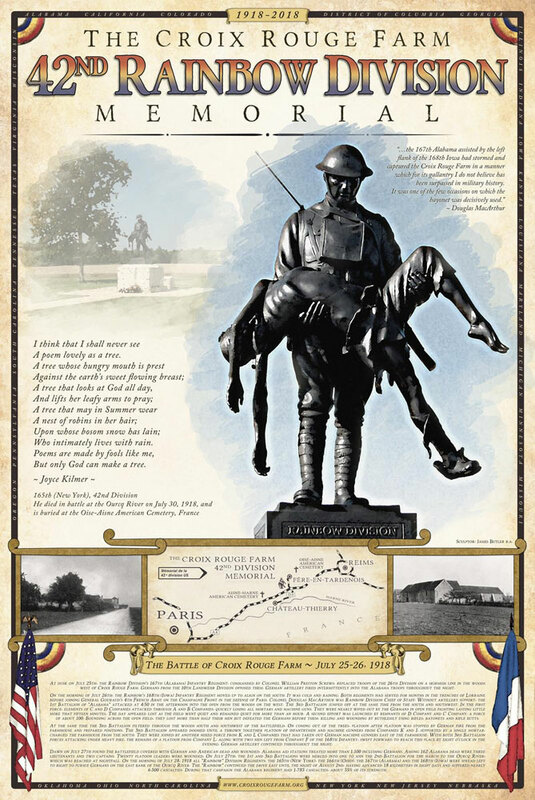 The family significance of the Croix Rouge Farm also dates back 100 years and marks the spot where Raymond took part in the fiercest fighting he and his regiment encountered during the Great War. Raymond survived the Battle of the Croix Rouge Farm but 162 of his comrades were killed taking it from the Germans in July of 1918. On July 26, 1918, the 42nd Division and the 167th Regiment regained in two consecutive battles the Croix Rouge Farm in Aisne, France. The division’s four regiments all had storied histories. They were the 165th (originally New York’s Fighting 69th); the 166th (the 4th Ohio); the 167th (4th Alabama); and the 168th (3rd Iowa). Though proud of their origins, the Rainbow men believed that General Pershing and his officers disliked them because they were National Guard. They had a lot to prove. On July 25-26, the American I Corps pulled out all three of its frontline divisions, including the American 26th and 28th, and replaced them with one: the Rainbow Division. The 84th Brigade (167th and 168th Regiments) led the attack on July 26 against German-held Croix Rouge (Red Cross) Farm, which was a well-prepared position bristling with well-sited machine guns. In their first attack, the green American troops clumped together in thick lines and took heavy casualties. They were beaten back. Later that evening, though, the Doughboys spread out thinly and used combined arms tactics, wielding grenades, machine guns, and one-pounder light cannon as they advanced. Engaging the Germans in close quarters combat, they captured the farm. MacArthur remembered that, “we reverted to tactics I had seen so often in the Indian wars of my frontier days. Crawling forward in twos and threes against each stubborn nest of enemy guns, we closed in with the bayonet and the hand grenade. It was savage and there was no quarter asked or given.” Red Cross Farm cost over 1,000 American casualties. 162 battle deaths in the 167th alone. Memorial to the 167th and Rainbow Division at the Croix Rouge Farm in Aisne, France. Activated: August 1917 (National Guard Division, the components of which were drawn from 26 States and the District of Columbia). Major Operations: Champagne-Marne, St. Mihiel, Meuse-Argonne. Casualties: Total 14,683 (KIA-2,058; WIA-12,625). Commanders: Maj. Gen. W. A. Mann (5 September 1917), Maj. Gen. Charles T. Menoher (19 December 1917), Brig. Gen. Douglas MacArthur (10 November 1918), Maj. Gen. C. A. F. Flagler (22 November 1918). Raymond was a proud veteran and always celebrated Armistice Day (as he always referred to it) while he was alive. Here he is pictured with a cake for such a celebration... notice the Rainbow Division rainbows. His regiment was the furthermost allied unit in German territory when the Armistice was called at 11:00 AM on the 11th day of the 11th month, 1918. The honor gave his regiment head of column as they headed toward Germany. While marching into Belgium... being the first friendly liberators the Belgians saw in their county in years... the 167th regimental band struck up the tune "Dixie" as they entered the first town. ​A special thank you to all the veterans who have served under the flags of this country! On 6 June 1778 Dudley Lee passed in the vicinity of Taneytown, Frederick Co, MD, as a draft substitute in Colonel Otho Holland William's Regiment, the 6th Maryland. 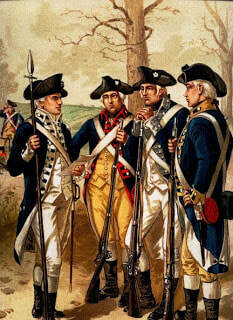 That unit served in New Jersey and New York as part of Washington's army. 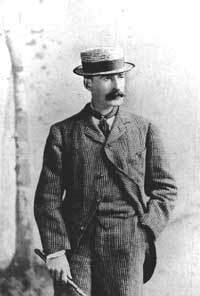 Dudley continued to re-enlist for the remainder of the war. 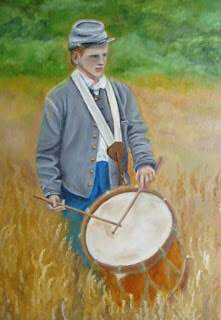 In August of 1780 he mustered in the 1st Maryland Regiment. This was essentially the same regiment, having been reorganized. By this time, the 1st Maryland was in the Carolinas, under the command of General Nathanial Greene. The regiment took part in most of the major actions of Greene's Southern Campaign. General George Washington relied heavily upon the Marylanders as one of the few reliable fighting units in the early Continental Army. For this reason, Maryland is sometimes known as "The Old Line State." 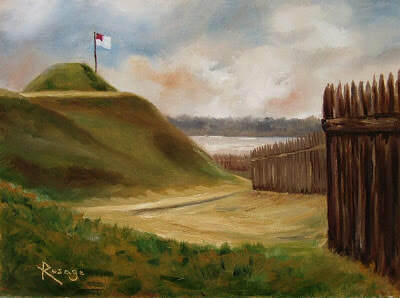 Battle of Guilford Court House. 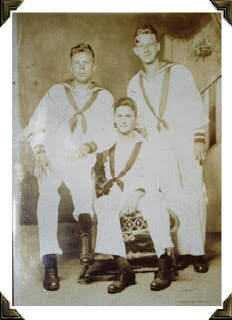 Enlisted at the age of 59 and fought throughout the war. Was captured by Stonewall Jackson at Harper's Ferry and released on a prisoners exchange. 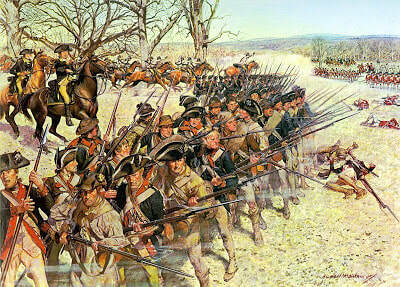 Fought in several skirmishes and battles... the most famous being the Battle of Monocacy. Company K, 61st North Carolina Infantry, CSA, War Between the States. The Tarheels of the Old North State, including over 1300 men from Onslow County, have earned their page in history with their deeds of valor, contributions, and dedication to the Confederate Cause of 1861 - 1865. 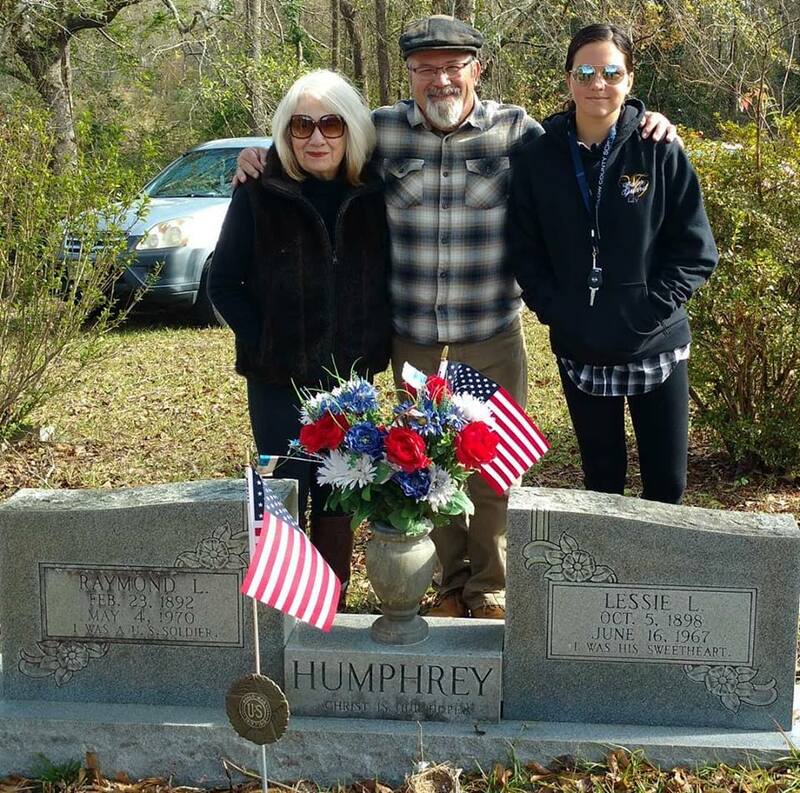 Among those 1300+ was private Lewis E. Humphrey, Company K, 61st North Carolina Infantry. 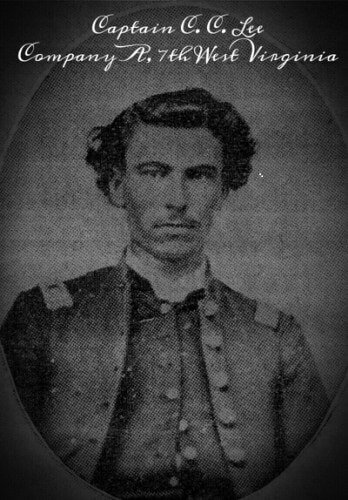 Lewis enlisted in April 1862 at the age of 34 in the Confederate army. He left behind no slaves... only a wife and five small children to tend the family farm. 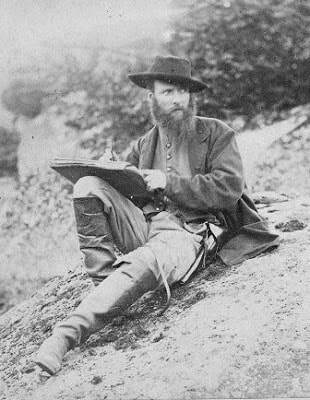 New Bern (30 miles from his home) had just fallen to Union forces and rumors of an Conscription Act forced him to leave the world he knew and embark on a journey that would eventually bring him back home 2 1/2 years later via a discharge for disability after the Battle of the Crater (late 1864). Mustered in as a private and moved up the ranks mustering out as Captain of Company A. The 7th West Virginia suffered such heavy casualties that it was reduced from a regiment of ten companies to a battalion of four companies by wars end. CC was wounded on May 3, 1863 at the Battle of Chancellorsville. 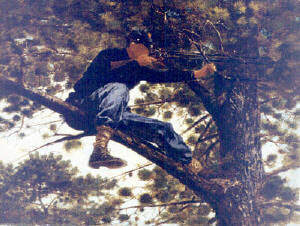 As Sargent... he was urging his men forward when a ball struck him in the face and exited through his open mouth... He wore a beard from that point on. He was furloughed home and missed the Battle of Gettysburg. CC was present for every major campaign with the exception of some of the Wilderness Campaign when he was hospitalized in Washington with malaria and almost died. From Romney to Appomattox... engaged in every major battle that the Army of the Potomac participated in... detailed list HERE. 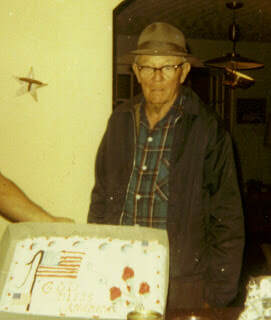 Raymond was a proud veteran and always celebrated Armistice Day (as he always referred to it)while he was alive. Here he is pictured with a cake for such a celebration... notice the Rainbow Division rainbows. His regiment was the furthermost allied unit in German territory when the Armistice was called at 11:00 AM on the 11th day of the 11th month, 1918. The honor gave his regiment head of column as they headed toward Germany. While marching into Belgium... being the first friendly liberators the Belgians saw in their county in years... the 167th regimental band struck up the tune "Dixie" as they entered the first town. 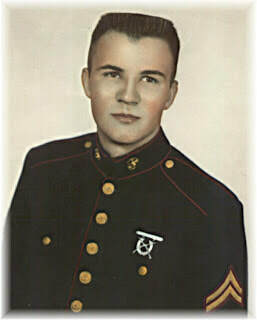 The Navy Cross is awarded to Seaman Second Class Oscar H. Lee, U.S. Navy, for extraordinary heroism as a member of the crew of boats sent out from the U.S.S. Wanderer to the rescue of men from the SS Florence H, which vessel, loaded with explosives, was burned in the harbor of Quiberon on the night of the 17th of April, 1918. Almost immediately after the outbreak of fire the water in the vicinity of Florence H was covered with burning powder boxes, many of which exploded, scattering flames throughout the wreckage. The crews of the Wanderer's boats drove their boats into the burning mass without thought of danger to themselves and, assisted by boats from the other ships present in the harbor, succeeded in saving the lives of many men who, but for the help so promptly and heroically extended, must have perished in the wreckage. Oscar Lee's name is in the Hall of Fame in Washington for his naval activities, and his image is in bronze in the Maryland State Hall of Fame. 32nd Regiment, 7th US Infantry Division, World War II. Pacific Theater. The attack against Okinawa was launched on Easter Sunday, April 1, 1945. Nobody suspected at the time that it was to be the last beachhead, indeed the last campaign, of World War II. The 7th, assigned to XXIV Corps, pivoted at the east coast and started on the drive south. Soon it experienced the heaviest Japanese artillery fire of the Pacific war, absorbing more than 40,000 rounds of high explosive in two weeks. The 32d Infantry was on the Division's left on the Nakagusuku Wan (later Buckner Bay); the 184th Infantry under Colonel Roy A. Greene was on the right. Colonel Frank Pachler's 17th Infantry soldiers were in close support. Finn's 32nd Soldiers met a strong Japanese force on Skyline Ridge, which became the scene of bitter conflict. In assessing the Division's accomplishments in the Okinawa campaign, the staff reckoned that the Hourglass men had killed between 25,000 and 28,000 Japanese soldiers, and had taken 4,584 prisoners--more than half of them soldiers of the Japanese regular army, including more than a hundred officers up to the rank of major. The Division suffered 1,116 killed, and nearly 6,000 wounded, to make the total of its World War II casualties 8,135. I find this very interesting since the original Slavic spelling of my name was Rosic... perhaps Paco is a distant relative. Period Artist Living Historian... Benie Rosage Jr.
Saturday, January 12, 2008, I had the privilege of attending the 143rd Anniversary Commemoration of the Second Battle at Fort Fisher. The Living History program included artillery and infantry demonstrations, period music, fort tours, and a living history/plein air demo by yours truly. 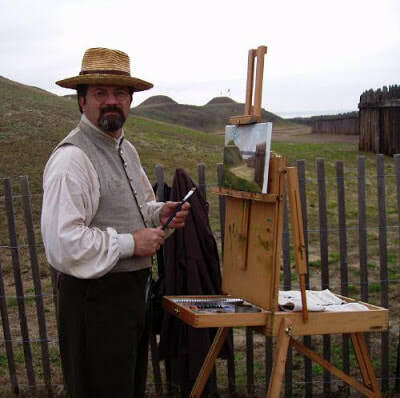 I have migrated from soldier to civilian in my hobby of Civil War reenacting... actually I have taken on the role of a period artist. 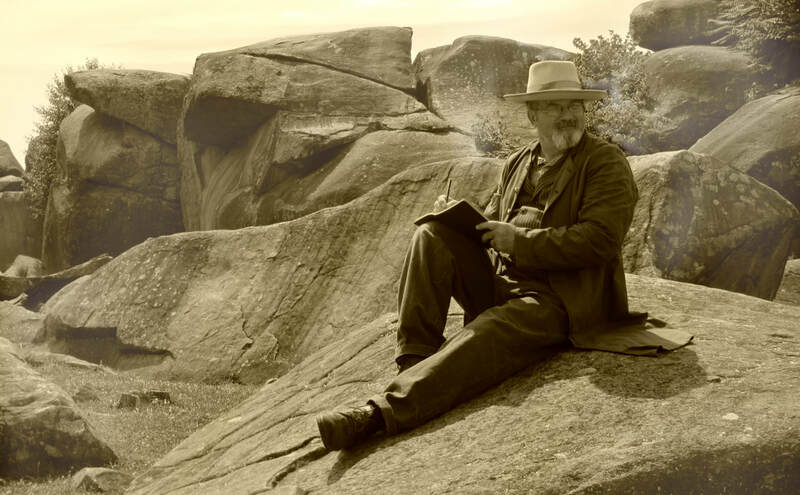 My impression is based on a combination of two artists... Alfred Waud (probably the most noted of period sketch artists) and Winslow Homer who painted scenes from the war and became one of America's most famous painters. One of his most famous works was "Sharpshooter on Picket Duty" pictured below. Me posing on Waud's Rock at Devil's Den on the Gettysburg Battlefield at the 155th Anniversary. 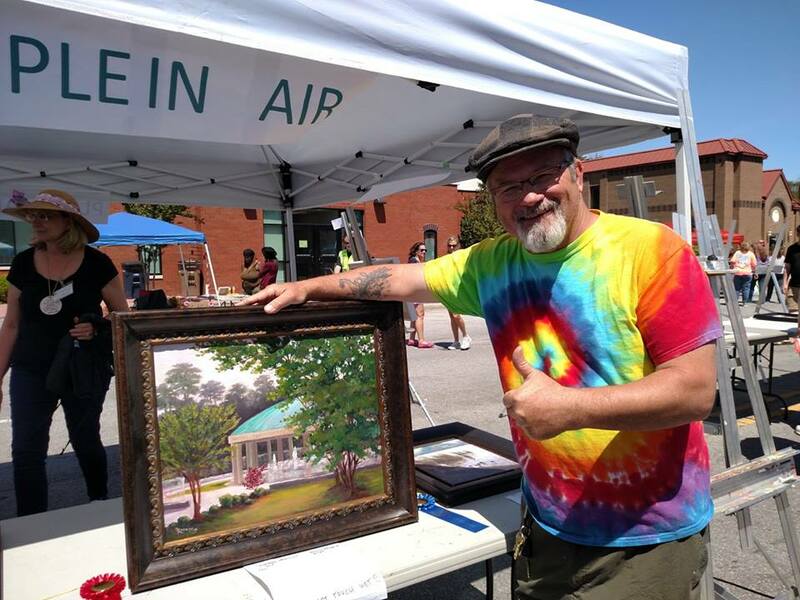 I spoke with several people about the history of plein air painting and how the invention of the metal paint tube in the mid 1800's made it possible for painters to go outside and paint "en plein aire" for the first time... a French term which means "in open air". "Shepherd's Battery"... 9x12" Oil on gallery stretched canvas, painted en plein aire at Fort Fisher, Carolina Beach, North Carolina. 1-12-2008 SOLD... Thanks Carl! 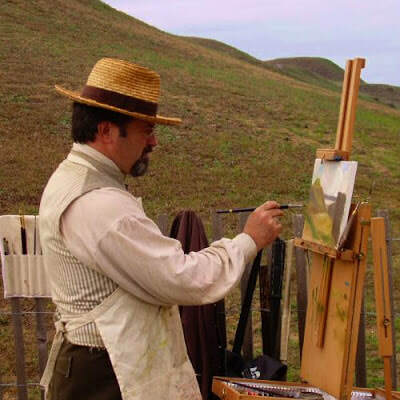 Click HERE for another "Blast from the Past" blog post about the history of plein air painting.... From the Field to the Studio. 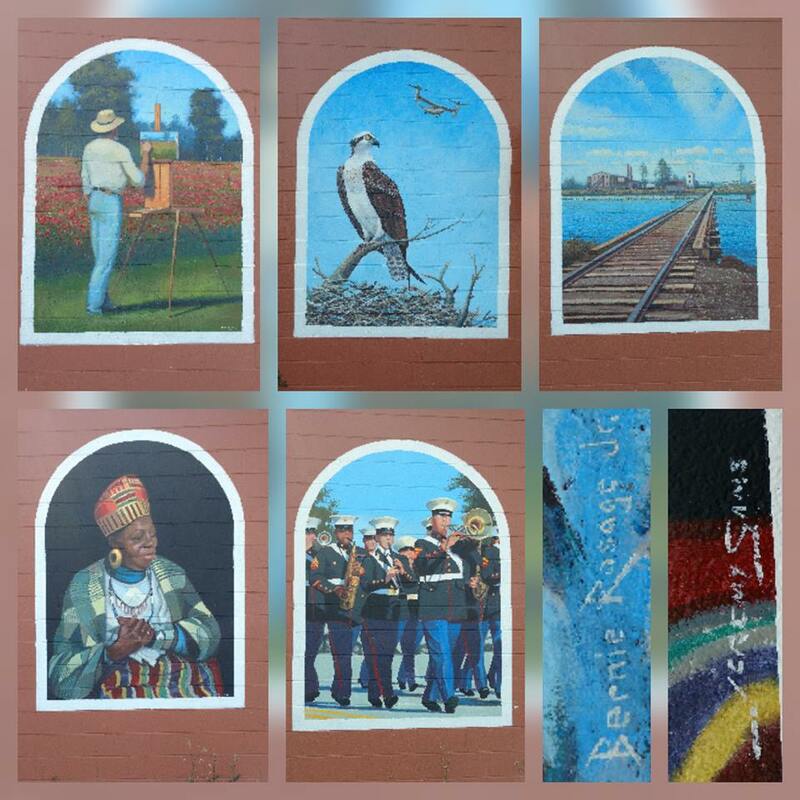 Downtown Jacksonville Mural Project Complete! Fellow artist and dear friend, Jeremy Sams, and I recently completed the first mural in the Downtown Jacksonville, NC Mural Project. 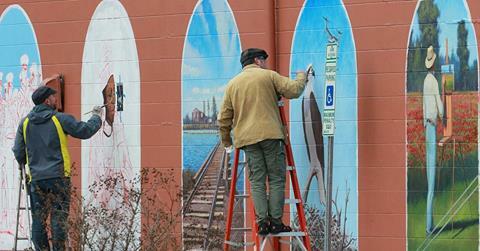 Click HERE to read the article featured in the Jacksonville Daily News about the mural project. Awesome photo John Althouse! 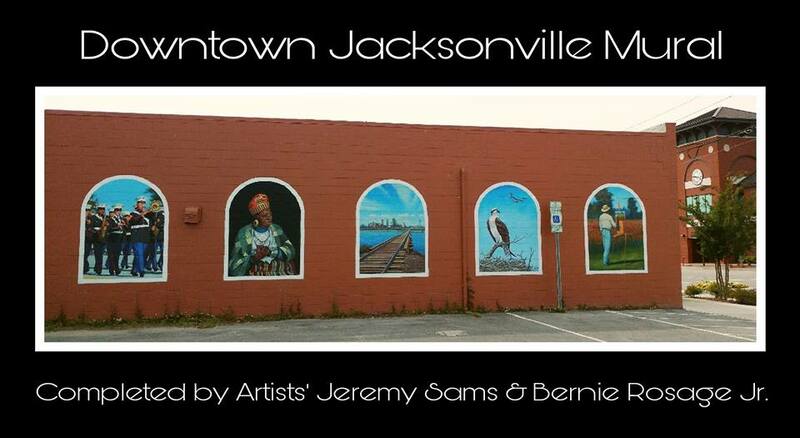 Jeremy Sams and Bernie Rosage Jr. working on the first Downtown Jacksonville Mural. 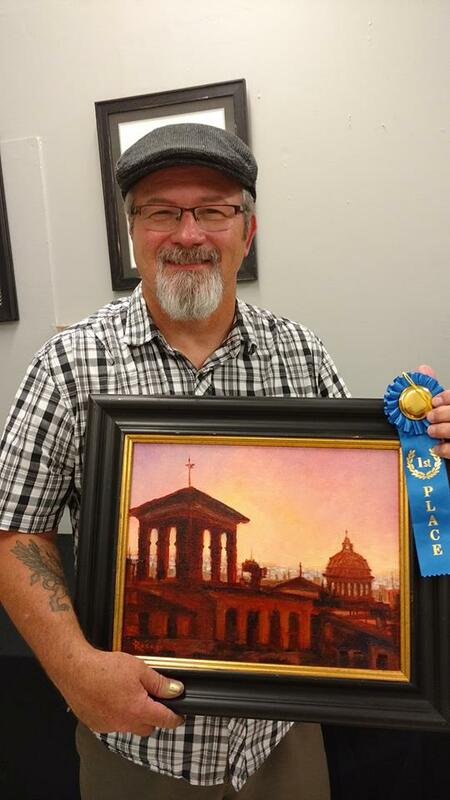 In the span of one month, I was honored and humbled to be awarded "Best of Show" in the Council for the Arts Spring Juried Art Show and 2nd place in the 5th annual Art Block Plein Air Paint Out. Lisa Fletcher, a fellow Onslow County teacher, suffered the devastating loss of her beautiful 15 year old daughter, Riley, this week. Lisa was one of my Clinical teachers during my junior year at ECU. 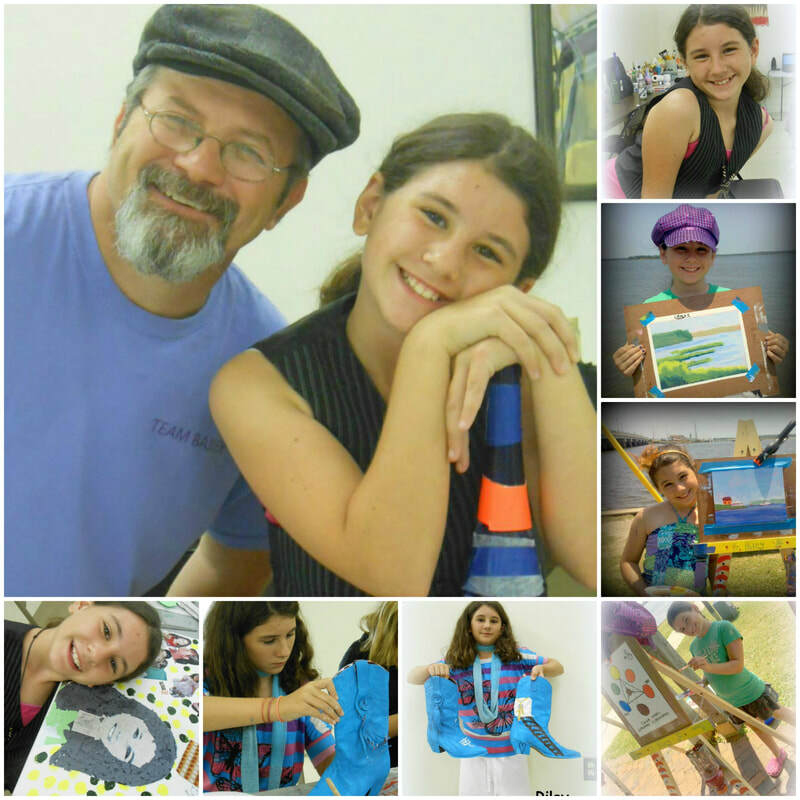 Riley was one of my art students during the time I taught children's summer art workshops in 2012-14. She was a true artist with an Art Spirit that was contagious! My heart breaks for Lisa and my mind cannot even grasp the concept that Riley has left us. Riley was a CFIES eagle for her entire elementary career. She then went on to be a part of the Swansboro school community where she was a 9th grader at Swansboro High School. Riley was active in the arts; singing and playing her guitar, writing poetry, and she enjoyed drawing and painting. With Lisa’s permission, Jennifer Askins and Melonie Shepard, have created the Riley Fletcher Arts Scholarship. This scholarship will be open to an OCS graduating senior pursuing a degree in the arts. The selection criteria is still being worked on. Lisa will select the student from the applications submitted. For my contribution... I wanted to do something special to help get the word out about the newly created Riley Fletcher Arts Scholarship. I am auctioning off a 20x16x1.5" original oil painting on textured gallery wrapped canvas that I created recently. 100% on the proceeds will go to the the scholarship as my tribute to sweet Riley Girl. 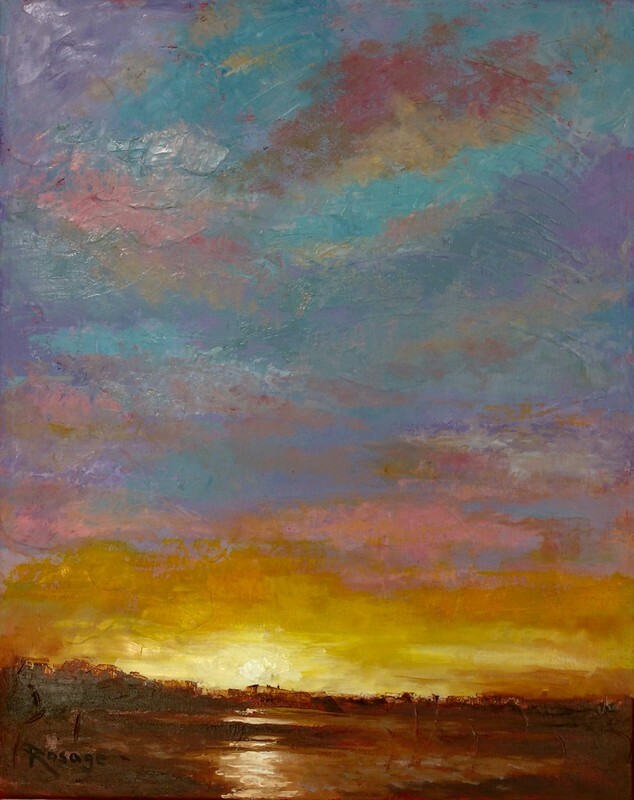 The piece is titled "Dawning of the Day" because I was moved by the lyrics of the Mary Fahl song with the same title. ​The auction is launched on Facebook... please personal message me with your bid. Bidding will end March 1, 2018. The painting will be on display at Swansboro Middle School next week through March 1st. Again, 100% of the winning bid will go to the Riley Fletcher Arts Scholarship. Click HERE to go to my Facebook page. ​Anyone wishing to make a contribution to the scholarship honoring Riley may forward their donation to Jennifer Askins at the school address below. She will provide each contributor with a receipt. She will also give Lisa a list of contributors who made this gift of education possible in the name of her sweet daughter. Click the link for prints and other merchandise available from Bernie's artwork. Fine Art America ~ Bernie Rosage Jr. Check out all the latest news and art from Bernie on Facebook! 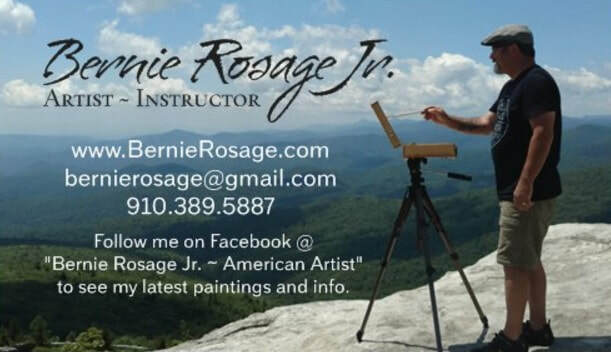 Follow me on Facebook @ "Bernie Rosage Jr. ~ American Artist" to see my latest artwork and info. Click HERE and "Like" my art page. I am an Artist FIRST and a Teacher SECOND!